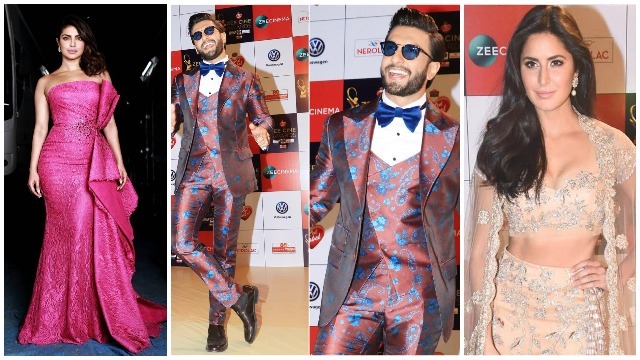 One of the most talked about events, Zee Cine Awards 2018 took place on December 19, 2017, at MMRDA Grounds in Mumbai. The red carpet was laid down and the curtains were pulled up at the starry night. The event saw who’s who of the B-town putting their best fashion foot forward. From Shah Rukh Khan to Priyank Chopra, Katrina Kaif, each one graced the event. The stars made the event look more glamorous with their dance performances. From Katrina Kaif to Priyanka Chopra, Sidharth Malhotra to Varun Dhawan, the event witnessed all your idols dancing their way to glory. Priyanka, who came to Mumbai just to attend the award show, danced to her popular songs including ‘desi girl’. On the other hand, Katrina Kaif performed to ‘Swag Se Swagat’ song from Tiger Zinda Hai. Others who gave thrilling performances were Sidharth Malhotra, Shahid Kapoor, Jacqueline Fernandez and Ranveer Singh among others. Next : Zee Cine Awards 2018: Alia Bhatt to Bhumi Pednekar, Katrina Kaif To Priyanka – Who Wore What!